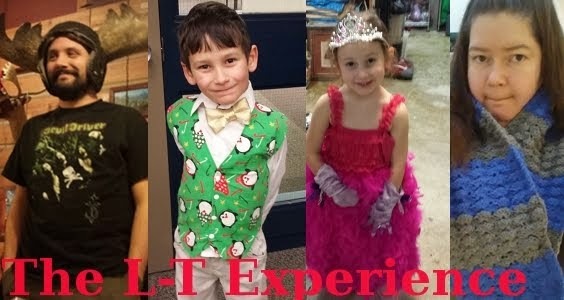 With all this hoopla over making Christmas gifts this year, you might have thought that I forgot about dressing my kids for their holidays concerts at school. Yeah? You did think that? I don't blame you... I've been a bit scatter brained lately. But I did not forget. I actually brought Lane to the fabric store on Friday afternoon to let her pick out a pattern and some fabric for her Christmas dress. 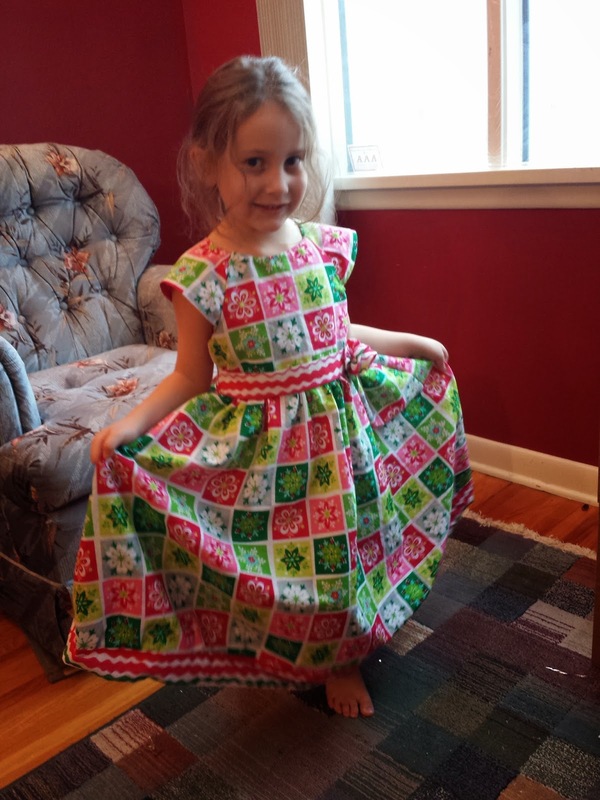 And this is what we ended up with (after a weekend of sewing that is). Awww... isn't she cute? 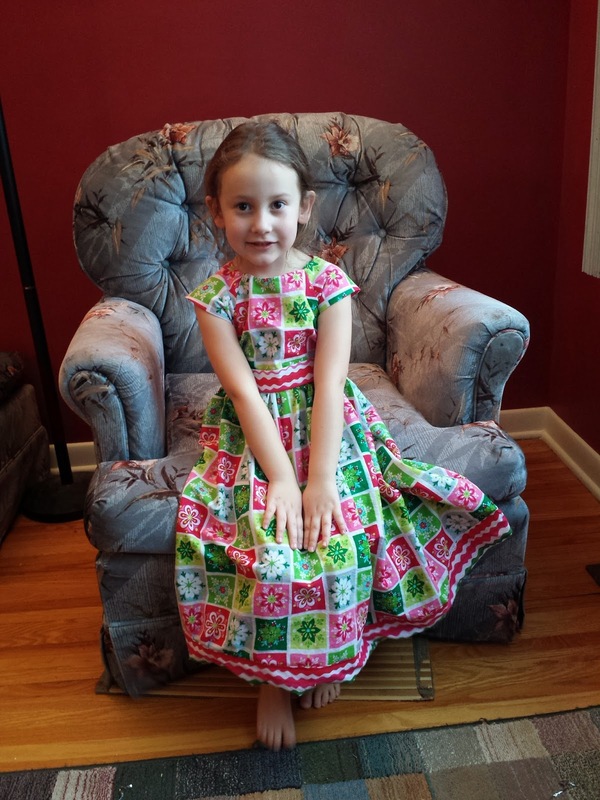 We chose Christmas themed fabric, but notice how it still has lots of pretty pink in it. 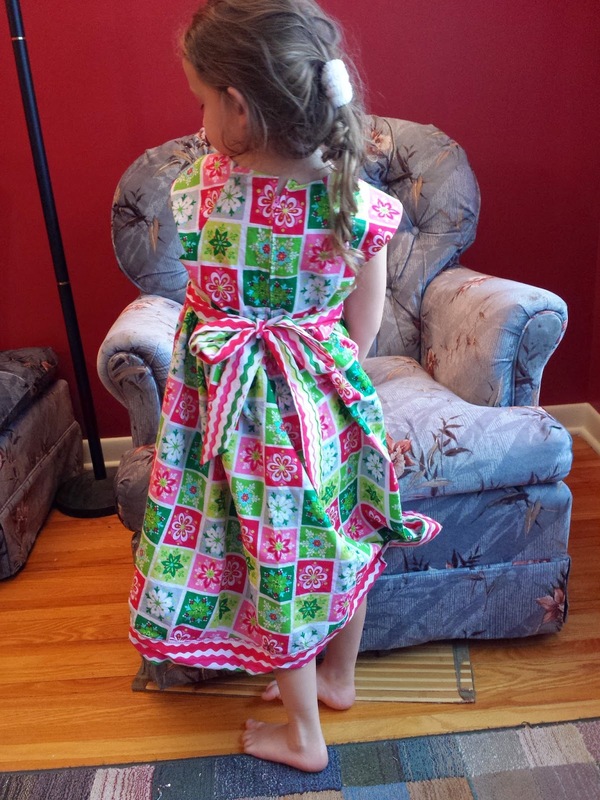 The back ties with a pretty bow and zips up. And the zipper did not bring me to tears like they usually do when I try to sew them in. Yay! I must be improving. The front has a fabric flower sewn the "belt" piece. Lane was super insistent on that part of the dress. I used McCall's M6875 view B (because of the flower, View A had a bow collar on it). The pattern was OK. At least I didn't rework it as much as I usually do. I chock that up to me being in a decent mood this weekend to just roll with it rather than the pattern doing anything mollifying. I usually rip those suckers up and end up designing my own thing. Anyhoo... this pattern also came with instructions and pattern pieces to make a matching dress for an 18 inch doll. So I'm guessing that Lane's precious baby doll Emma is going to have to have a dress as well. 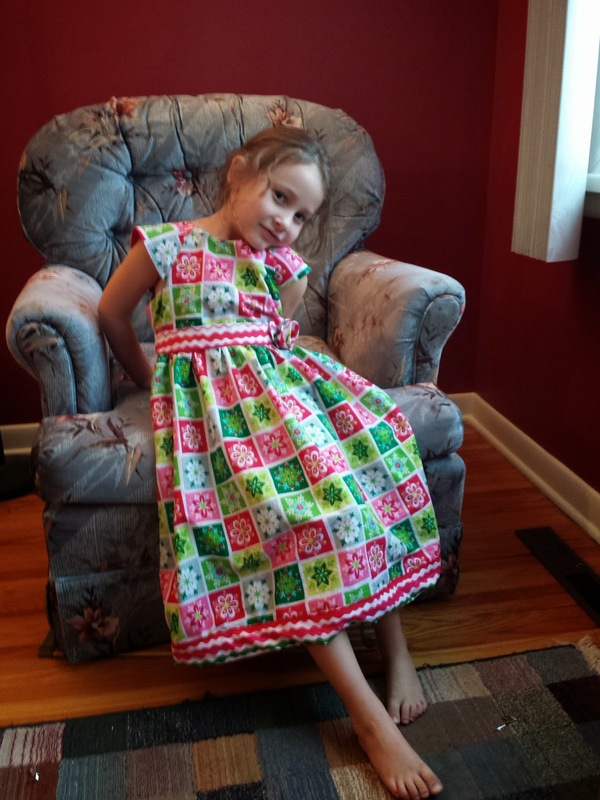 Lane will be wearing this dress to 2 concerts this year (her pre-school and kindergarten ones). She'll also wear it to visit Santa at the mall in the not too distant future. What do you think? Maybe a little summery for a Winnipeg winter dress? Or just plain adorable? Beautiful! I can't believe how many amazing things you make. 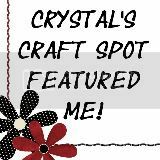 You must be sewing and crocheting all day long!